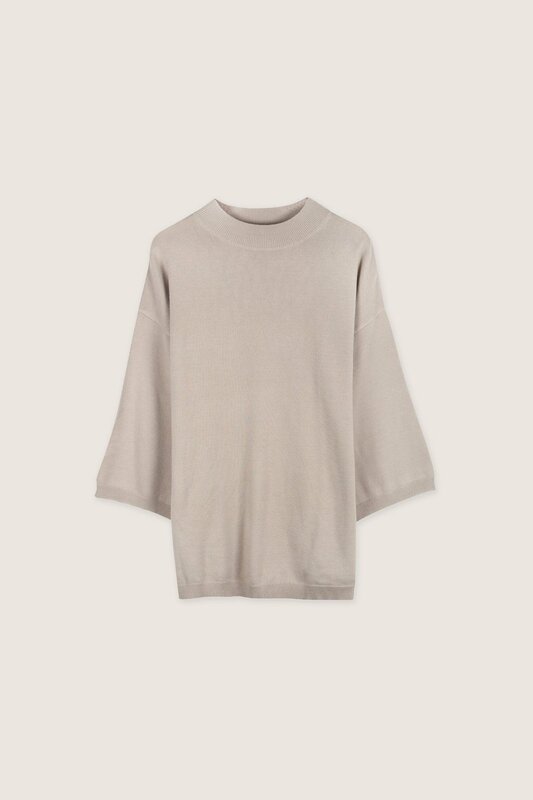 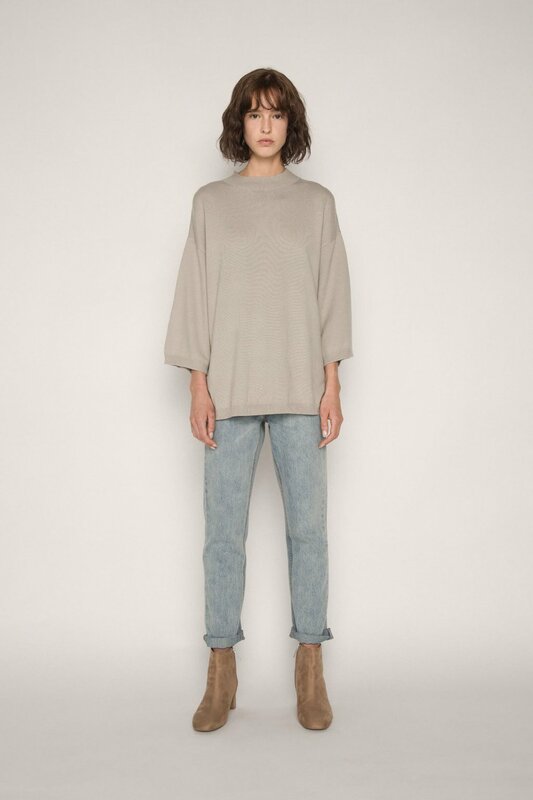 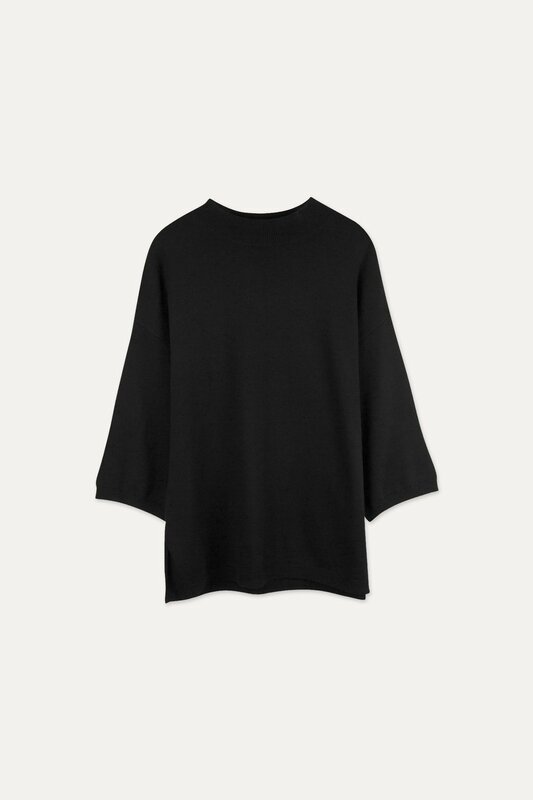 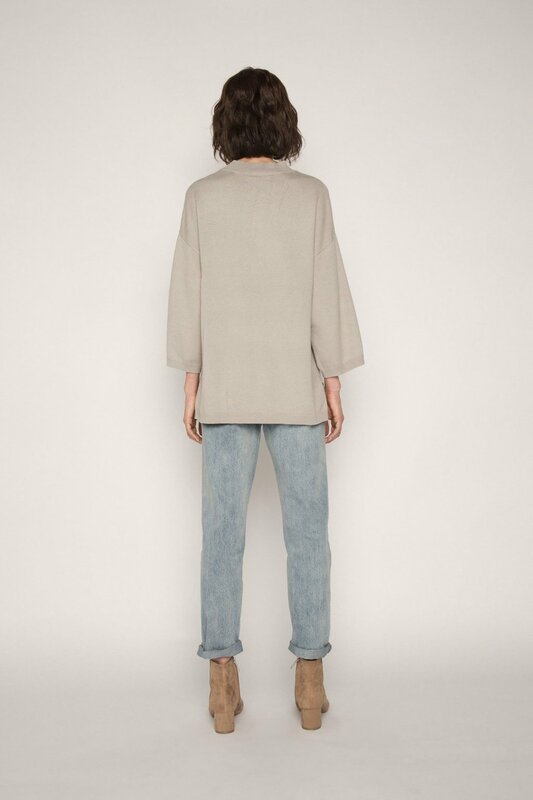 This sweater features a subtle ribbed mock-neck, bottom side slits, and oversized 3/4 sleeves for a slight drop-shoulder effect. 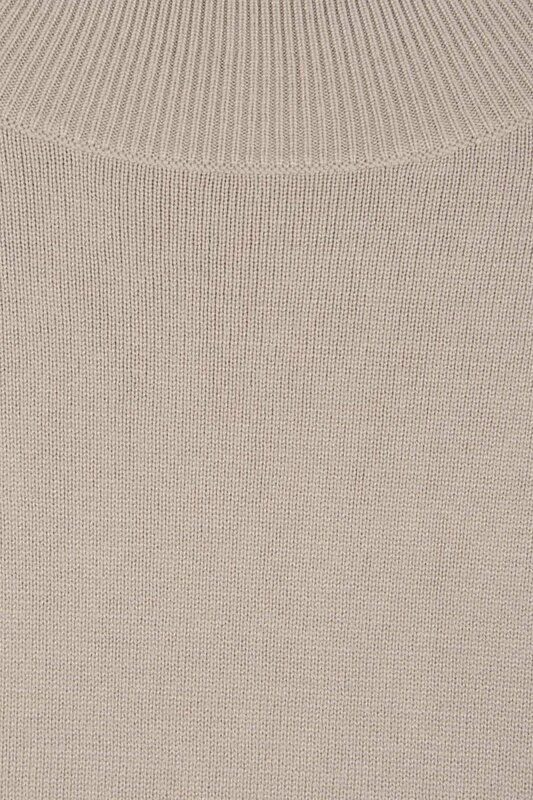 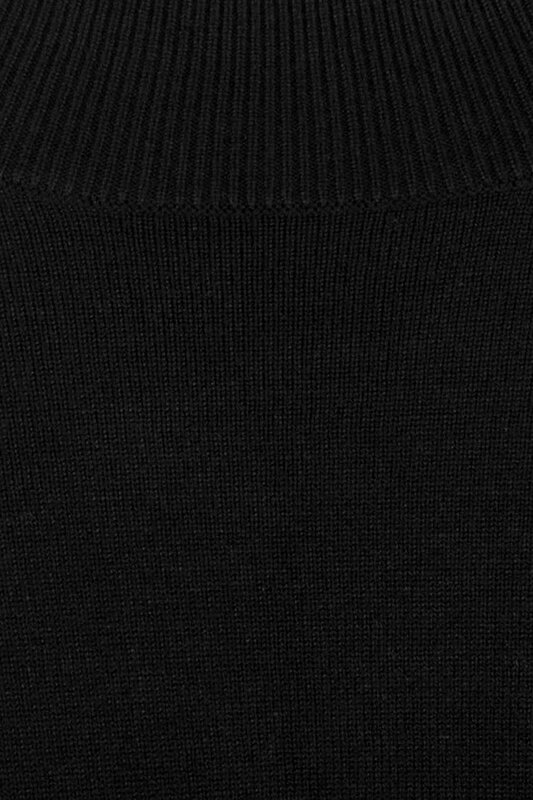 The relaxed silhouette and the ultra-soft and cozy knitting make this piece the perfect pullover for day to day wear. 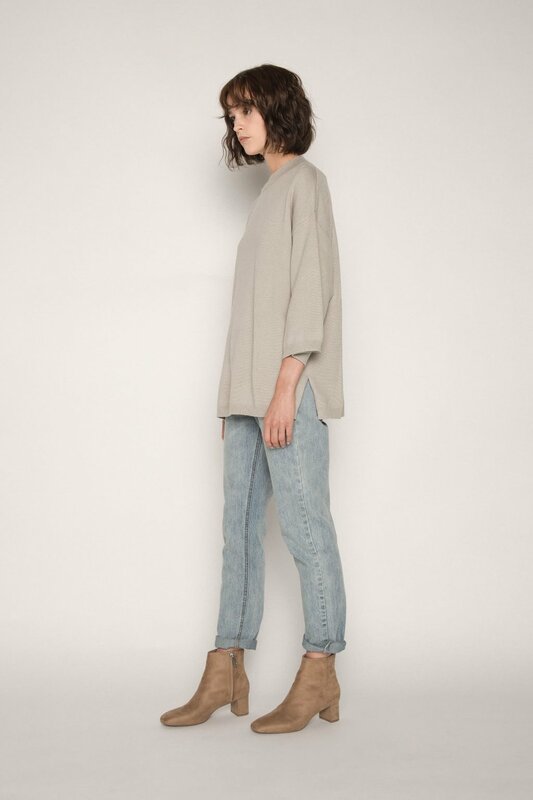 Pair with denim and sneakers for a cute and casual everyday look.